The parts in our milling production process often are designed and created with our CAD system. The final output of our CAD system is then used to control the CNC machining centers. The use of sophistacated computer controlled processes assures precise reproduction of complex geometries. Once the the part or stucture has been tested within the virtual computer modeling, the production planning focuses on materials and procedures to facilitate the manufacturing process. Maintaining good documentation for your product is important for the success of the product lifecycle. Accurate drawings, test results and inspection records are required for quality engineering projects. GD Designs will deliver your product complete with all necessary documentation for ISO compliancy. 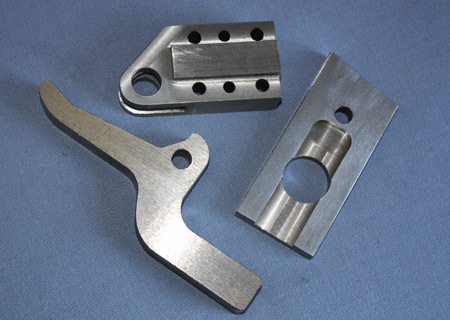 Precision machining including surface grinding of complex CAD designed parts for prototype or production runs.